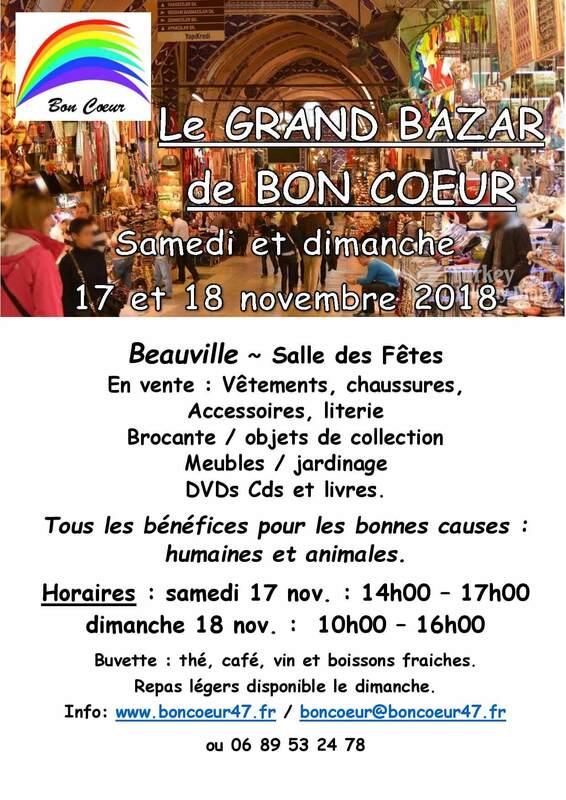 Following several very large donations, Bon Coeur charity shop will be holding a Grand Bazaar in the Salle des Fêtes in Beauville, Lot-et-Garonne on Saturday 17th from 2pm to 5pm and Sunday 18th of November from 10am to 4pm. 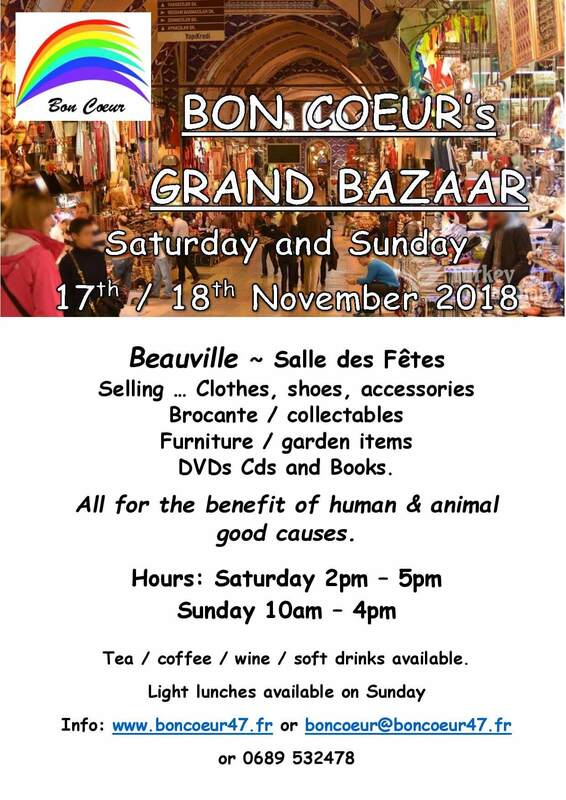 We will be offering a range of winter clothes, shoes and accessories, bedding, linen and soft furnishings, brocante, furniture, garden items, books, CDs and DVDs. All for the benefit of human and animal good causes. 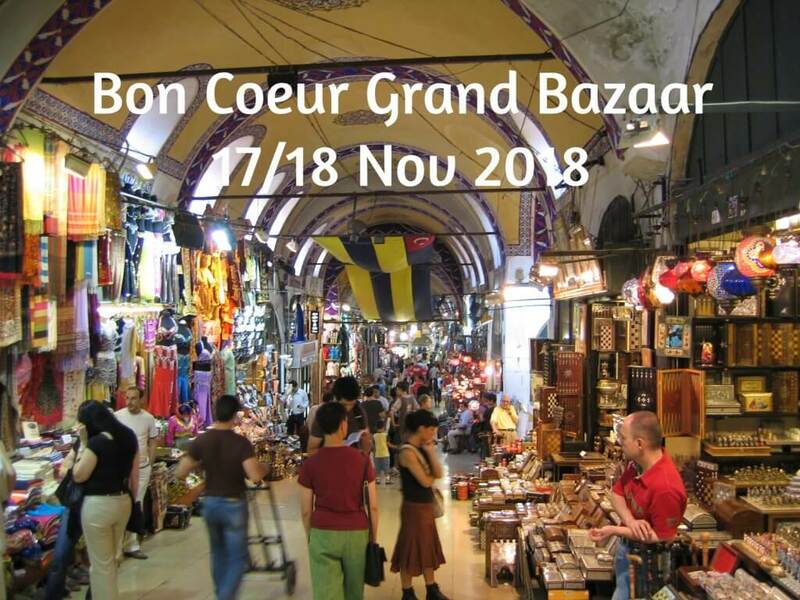 Refreshments will be available including tea, coffee, wine and soft drinks on both days and also a light lunch on Sunday.